If you are struggling with gum disease, contact your Ballwin Family Dentist today. Gum disease, also known as periodontitis or periodontal disease, begins with bacterial growth in your mouth and may lead to tooth loss if not properly treated. The health of your gums is so important and can have negative results if it’s not addressed. According to the American Academy of Periodontology and a study done in 2012, one out of every two American adults ages 30 and over have periodontal disease. That is half of American adults. Plaque buildup when brushing and flossing don’t occur as often as necessary. Smoking interferes with the normal function of gum tissue cells, making your mouth more vulnerable to infections. Nutritional deficiencies such as lack of vitamin C can be harmful to your gums. If you have a family history gum disease make sure and mention that at your next dental appointment as it may put you at a slightly higher risk of developing gum disease. Dr. Kevin F. Postol, your Ballwin family dentist, offers non-surgical, less invasive, and surgical options to treat gum disease. Scheduling regular visits to your dental office is one of the most important steps to helping treat the early symptoms of gum disease. Schedule them every 6 months, especially if you suspect you have gum disease. When healthy dental habits and dental visits don’t clear up gum disease you may need to have some antibiotics prescribed to you. Scaling is when all plaque and tartar is removed above and below the gumline, cleaning all the way down to the bottom of the pocket. After this planing will occur. This is done by smoothing out your teeth roots to help the gums reattach to the teeth. This may take more than one visit to complete. Which kind of surgery Dr. Postol performs will depend on the type and severity of your gum disease. The invasiveness of the surgery will also depend on the state of your gums. Gum Flap or Osseous Surgery- This procedure involves lifting the gums off of the teeth to remove tartar buildup. After the area has been cleaned and tartar removed, the gums will be stitched into place to fit around the teeth. Sometimes, the bone may require reshaping during the procedure. The healing time can take anywhere from a few weeks to several months depending upon the way your body heals. Gingivectomy- A gingivectomy is the most common procedure performed with dental lasers. This procedure involves the removal of the gum tissues from in and around a tooth or teeth in order to treat gum disease. The diseased tissue is trimmed and removed, the remaining gums are reattached in and around the teeth by sutures (stitches), and the area is cleaned with saline and special rinses. A local anesthetic is used for comfort during the procedure. After the procedure is completed, a surgical dressing, is placed in and around the teeth and gums. This dressing is left in place for about a week. Swishing with an antibacterial mouthwash can help with healing. 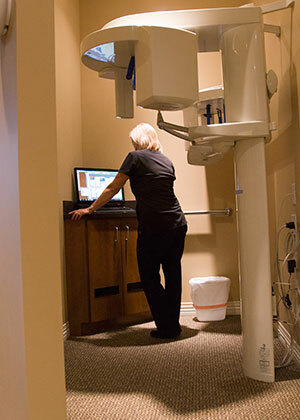 It is so important to find a dental home and to be comfortable there. Dr. Kevin Postol is committed to each and every one of his patients. He believes that having a personal relationship with them allows his to be a better dentist and help make a difference in their lives. 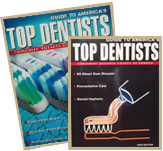 Dr. Postol has the certification, training and beyond to be the right dentist for the job. He enjoys continuing education and learning new dental treatments and developments that will help his patients and practice. He has extensive training in gum disease treatment in Ballwin, as well as in dental implants, gum recession treatment, dentures, laser dentistry and relaxation dentistry to help those patients who may have some anxiety about visiting the dentist. If left untreated, gum disease can cause many additional health problems. If you have any of the symptoms above or suspect you may suffer from gum disease, contact us today. As one of the best dentists in Ballwin, Dr. Postol will help you decide on the treatment that is right for you.